UK – Müller Milk & Ingredients (MMI) has unveiled intentions to remove up to 40% of its 835 fresh milk and cream SKU’s (Stock Keeping Unit) in the UK as part of the ambitious goal to cut on both food and plastic waste. This is part of MMI’s Darwin project launched in February to promote cost and margin initiatives meant to secure a vibrant and sustainable future for the business. Project Darwin involves a comprehensive review of every aspect of the company operations, logistics, back office and people organisation, all looking to improve value for consumers, customers, employees and farmers. The company said this move is expected to reduce plastic use by 400 tonnes per annum while realizing food waste and distribution costs. 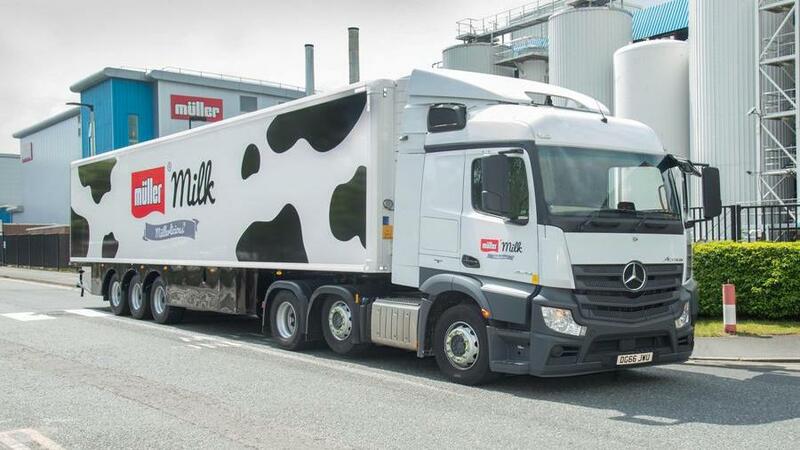 The new initiative is called ‘SKU rationalisation programme’ and will allow Muller remove 400 tonnes of plastic from its core fresh milk SKUs. “At a typical dairy more than 90% of the milk we buy from farms is manufactured into less than 80 different product formats, meeting customer requirements for different milk types, pack sizes and labelling formats,” said Patrick Müller, CEO of Müller Milk & Ingredients. “At the same dairy, the remaining 10% of milk would be processed into a further 125 SKU formats, which is staggering. According to him, the programme is critical in improving the company’s environmental performance. “The environmental cost of persisting with some of these less common SKU’s is significant, requiring our dairies to halt production whilst pack formats are changed for very small production runs, causing unacceptably high levels of product waste, energy use and complexity throughout our business,” he said. The company in January launched a new lightweight recyclable milk cap that aims to reduce the company’s carbon footprint and the amount of plastic going into the environment. According to the company, the cap utilizes 13% less plastic material thus removing 300 tonnes of plastic every year.